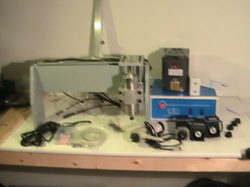 For a long time I wanted to get a CNC machine, or computer numerical control machine. Since is not a very cheap machine I tried to avoid buying one by using a trimming router for a while, but for even simple shapes you need to create an elaborate scaffold just to be able to cut something useful. I looked for my options on the market and also thinking to build myself one. The first option to build myself one looked good in the beginning ,and even started to build one from MDF ,which it good enough to cut PCBs. 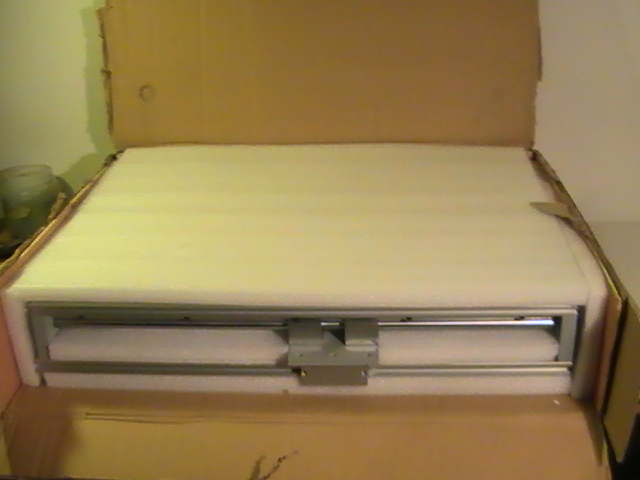 But I wanted to cut aluminum sheets and I think any wood CNC machine is not adequate for this. 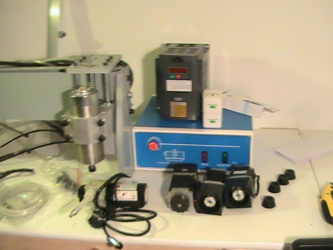 In the next few parts I will describe the machine and how to use it . Update : After a year is still working properly with some minor issues. I use it regularly to cut plastic , aluminum sheets and PCB prototypes. 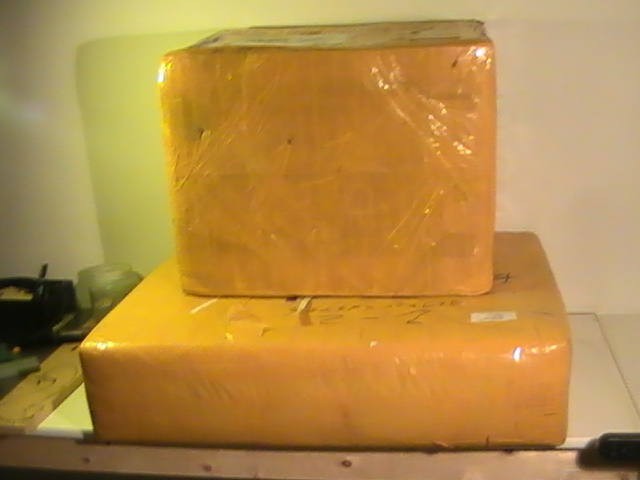 The packages together are about 50KG / 100 lb and came from China by air. The transportation was about the half of the machine price . The total price was about 1800$. 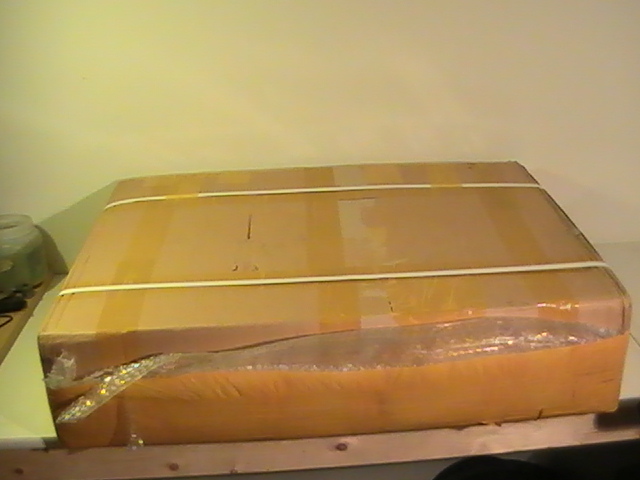 The packaging was good enough to endure the flight and the postal truck. 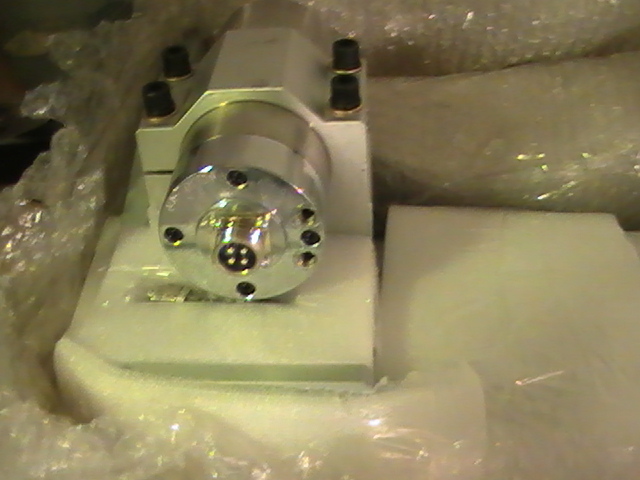 The fresh smell of the CNC machine. The first view of the frame.